The 4-H Office at Virginia State University is once again proud to announce the 2017 4-H Intermediate Congress summer program. The camp will be Monday, July 10 through Wednesday, July 12. Our theme will be "What is Your Super Power?" The cost is all inclusive at $150 and is open on a first-come, first served basis for any child between the ages of 11 and 13. There is limited financial assistance available for anyone who needs it, just contact 804-524-5964 for more information. 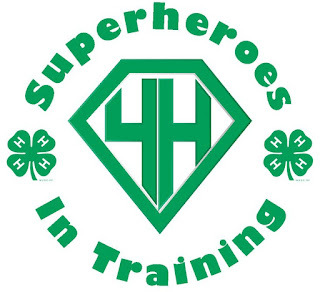 4-H Teen Mentor training. The cost for Teen Mentors is free. Payment is to be mailed no later than 5 pm Friday, June 30. Any payments postmarked after this date will not be accepted and the child will not be registered.